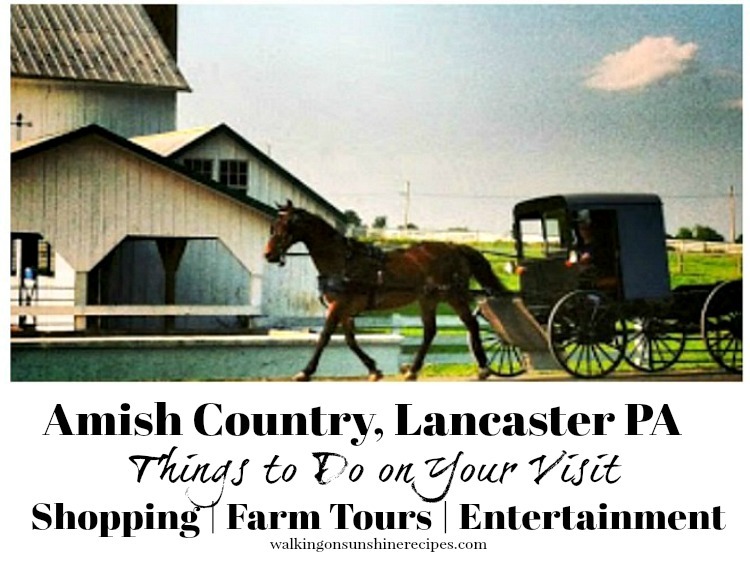 What you should do when you visit Amish Country in Lancaster, PA! On Saturday my husband and I took a little trip. Some place we’ve been before, actually, quite a few times. 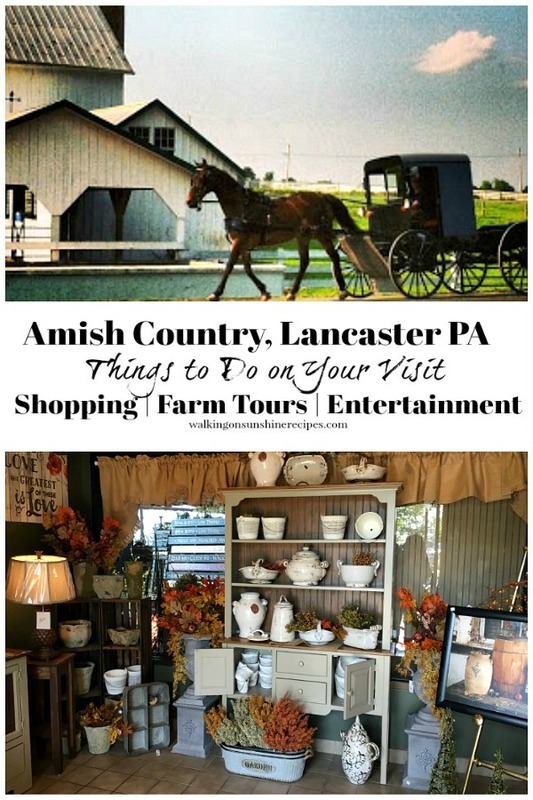 Just under two hours from our house is Lancaster, PA or Amish Country. It’s a relaxing drive and just what we needed to do to get away from things; even if it was just for a few hours. 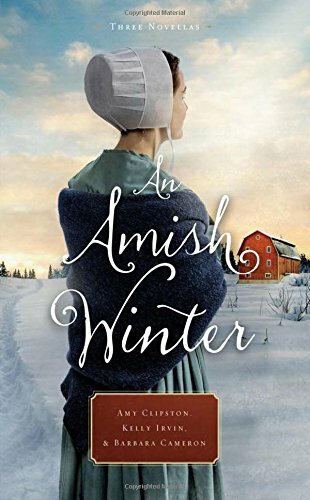 The Amish that live in Lancaster County are America’s oldest Amish settlement where thousands still live a centuries-old “Plain” lifestyle. 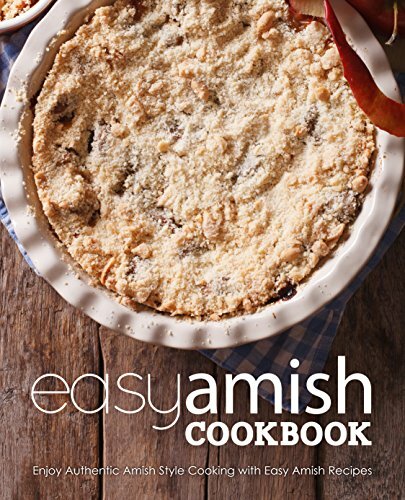 Visiting Amish Country allows you to step back in time to enjoy a slower and very peaceful type of life. 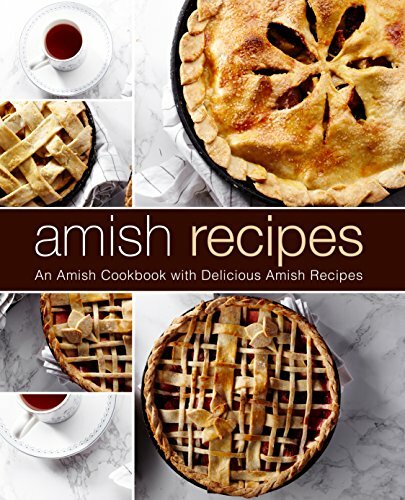 And yes, you will see horse and buggies being driven by Amish people. 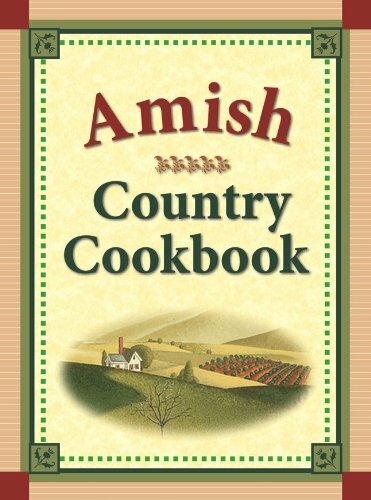 You’ll even see Amish children on their scooters as you drive around. 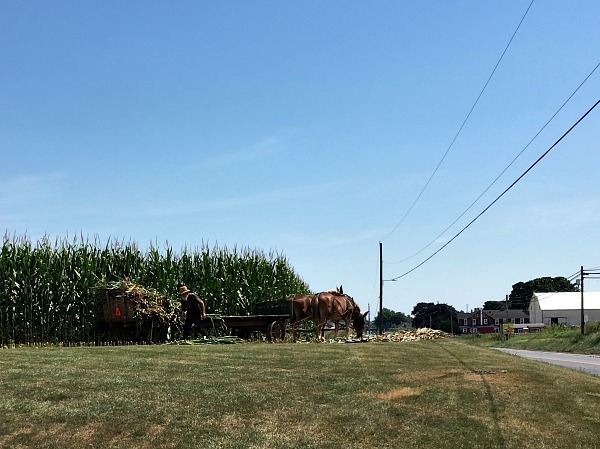 There are many attractions and things to do when you visit Amish Country in Lancaster, PA. You can tour a real Amish farm and get a feel of their lifestyle. 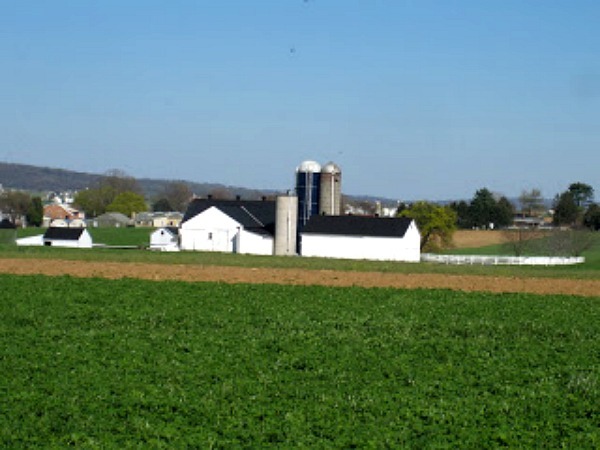 You can go for a buggy ride or go for a guided tour of different farms in the area. 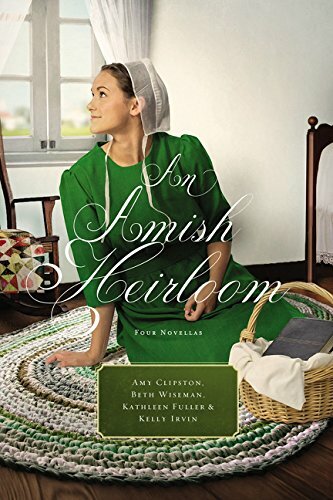 There are even museums that you can visit to learn more about the history of the Amish. 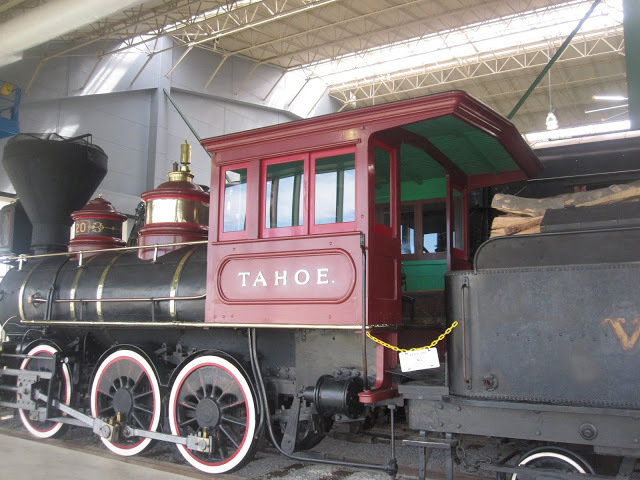 A few years ago we visited the Railroad Museum and really enjoyed touring the old trains and railroad cars. You can enjoy the beautiful countryside! I love driving around the back roads and looking at the farms. Here is a farmer gathering corn. 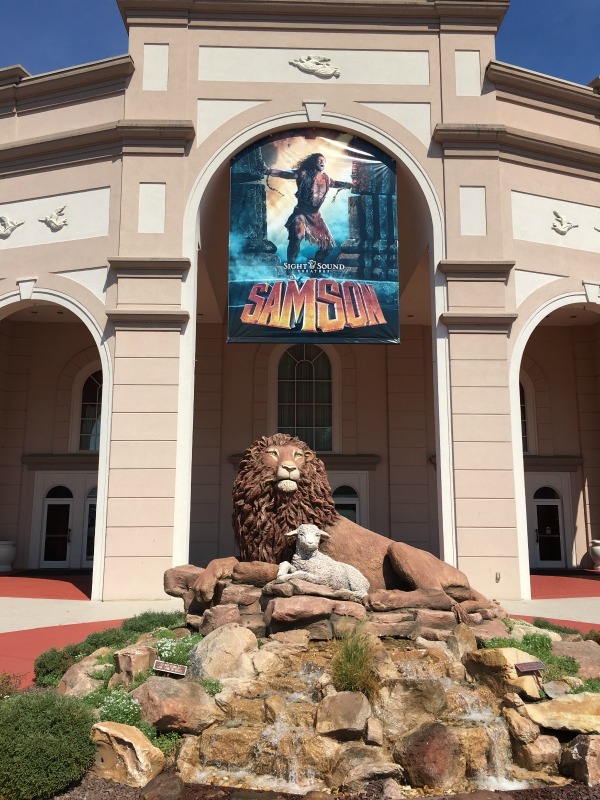 And if you have time, you really need to schedule a visit to see a musical at Sight and Sound. We saw Noah a few years ago and Samson last year. 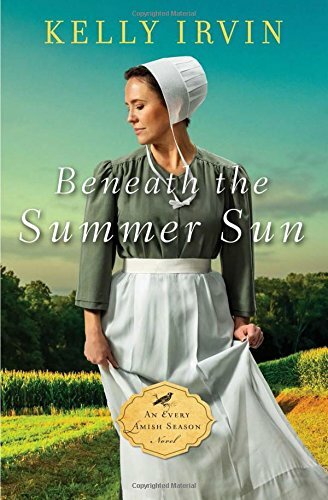 Both were amazing and definitely something everyone should do when they visit Lancaster, PA! 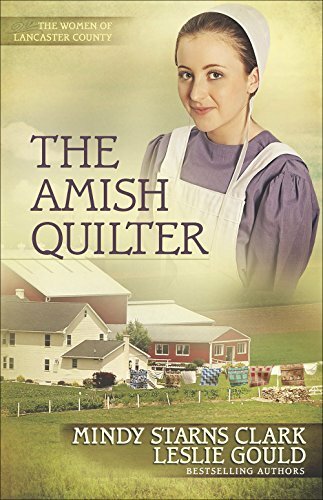 The one thing that most people do when they visit Amish Country in Lancaster, PA is shop. 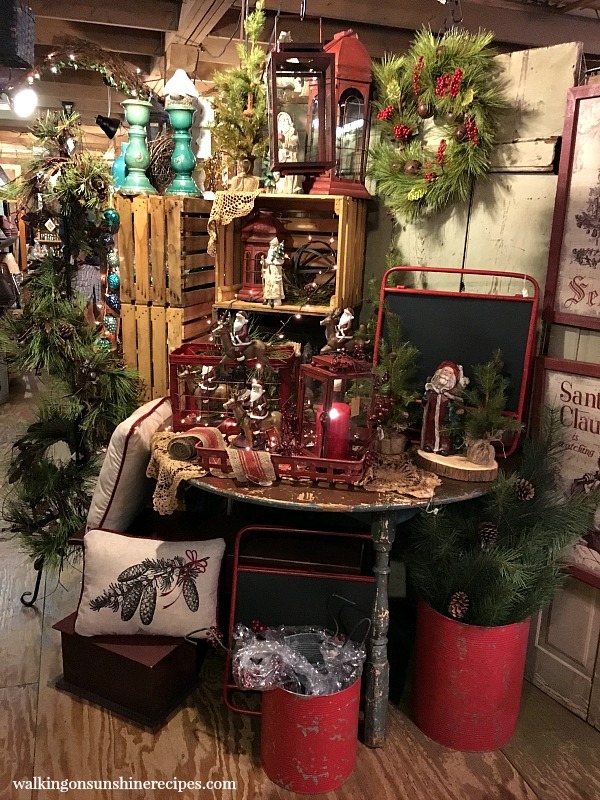 There are many stores that carry a variety of hand-made items, especially furniture, by local people. And there are discount outlet stores as well. Something cute I saw that I really should have purchased. 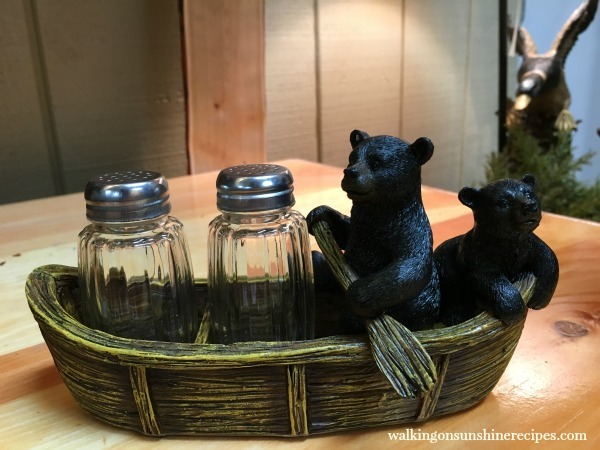 My maiden name is Behr and I’m always on the lookout for cute bear items. I may have to look for this the next time we visit. 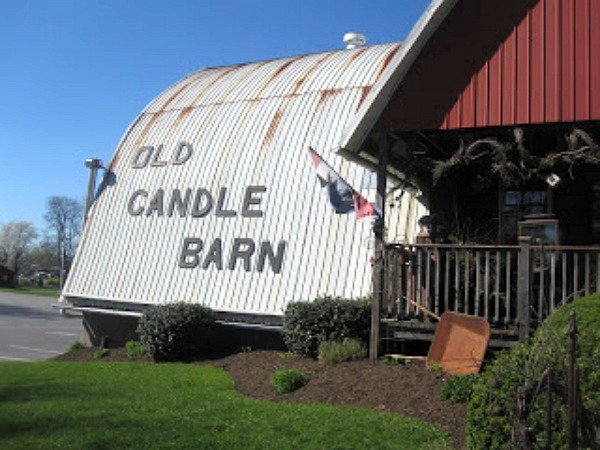 My favorite shop is the Old Candle Barn. 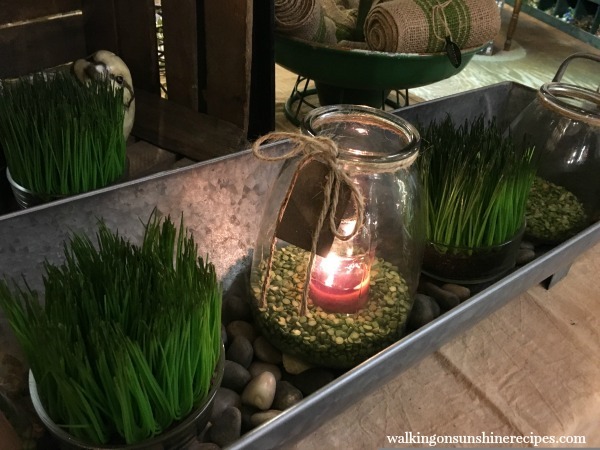 You can actually watch them make hand-dipped candles in the basement of this store. We always take time to stop here and shop. They have the best smelling candles! 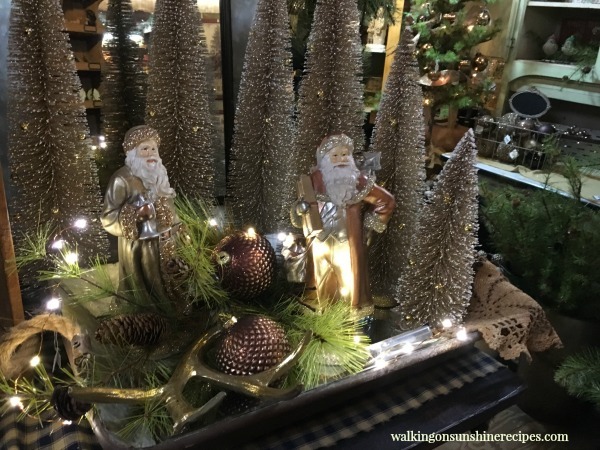 When we last visited they were already setting up for Christmas. It was so beautiful! I love this galvanized try so much that I bought it with some of my birthday money. 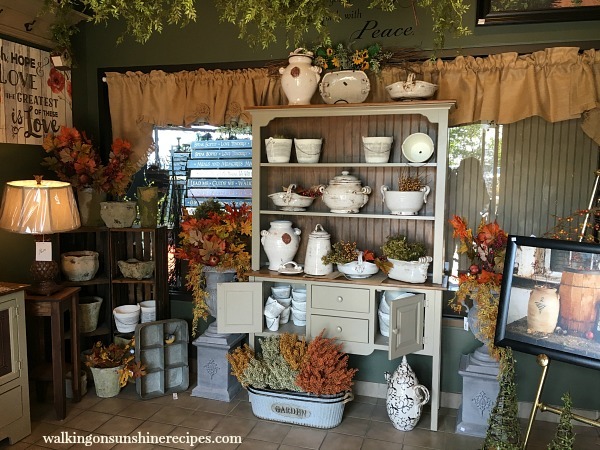 I plan on using in on our dining room table soon…especially when I begin to decorate for the holidays. I love these glitter bottle brush trees. 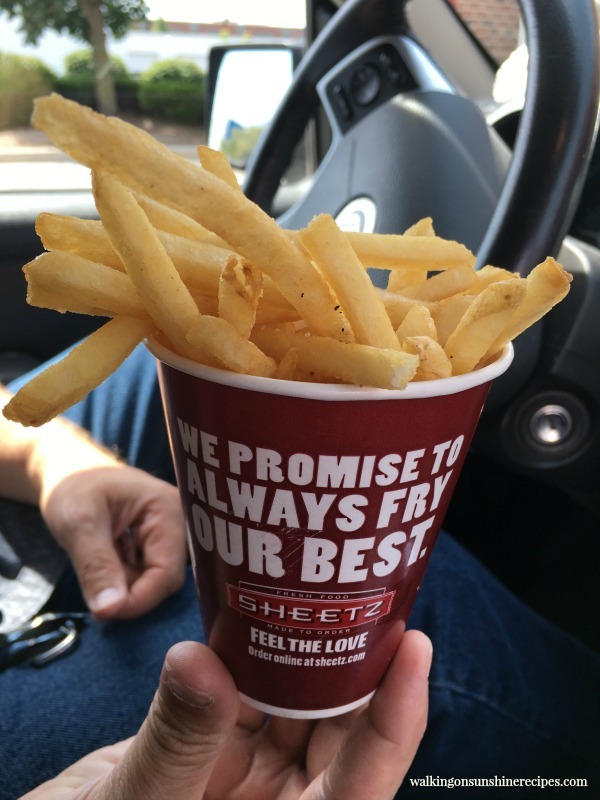 A treat and splurge for the day were these amazing French fries from our favorite food chain, Sheetz. They have the best fries! Yes, you can get gasoline for your car there too. 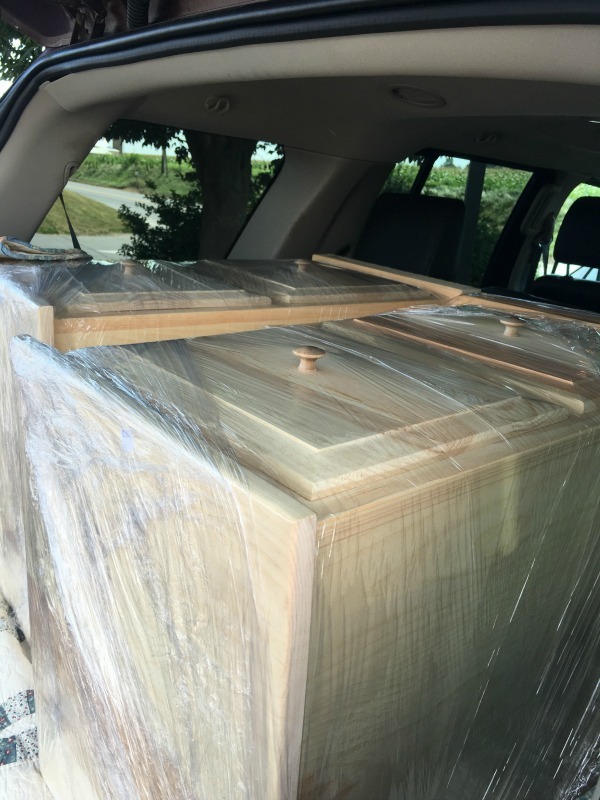 Our main reason for making the trip was to purchase two solid pine file cabinets to use in our office here at home. 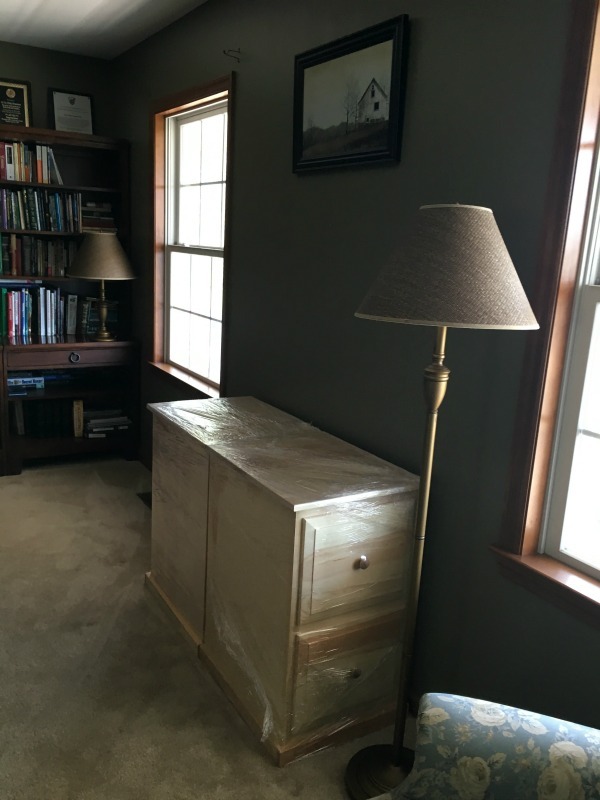 We’re going to make a new desk area for me and my hubby to sit. Right now I sit with my back to the windows facing a wall all day long. All. Day. Long. Here they sit. We have a huge project in front of us. I took a few photos while driving around and this is one of my favorite. 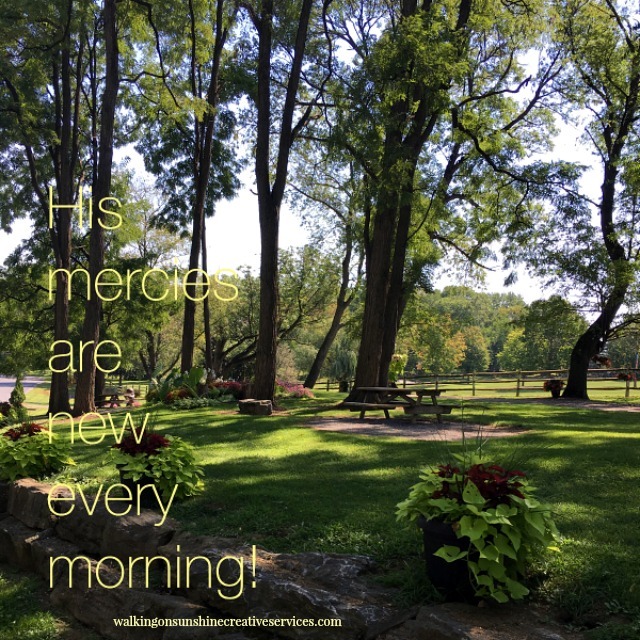 I added a scripture verse and shared it on my Facebook page yesterday. For more information on visiting Lancaster, PA, please visit their website.